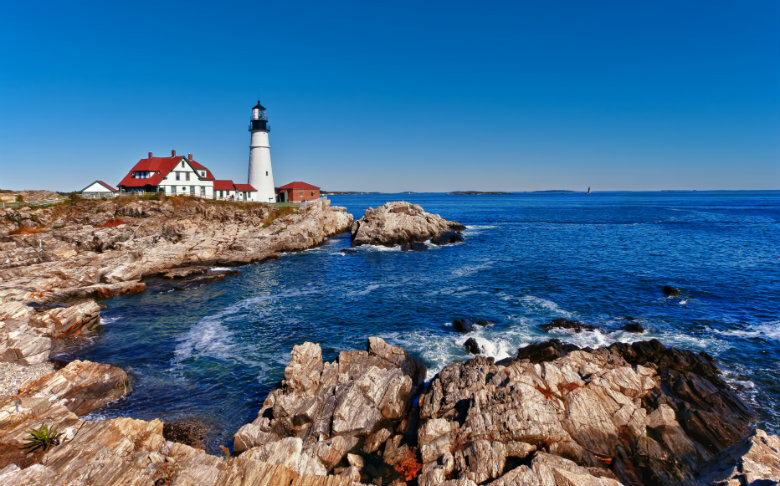 Maine is located in the northeastern-most part of the United States, surrounded by New Hampshire, Canada, and the Atlantic Ocean. It is most commonly referred to as the Pine Tree State due to the vast forests that span the state. Its wooded forests, along with its waterways, make Maine a great vacation spot for outdoor adventurers. Many people are drawn to the state because of the cuisine. Maine happens to be the top lobster-producing state in the United States, as well as the largest producer of wild blueberries in the world. Visit Maine. If the breathtaking views and delicious food were not enough to draw you in, then the historic, maritime sites definitely will. It is easy to see why Maine is home to over one million residents and attracts millions of tourists each year. When moving or visiting the state, you will want to take your car with you to explore everything Maine has to offer. This is where vehicle shipping services come into play. Whether you are moving to the state permanently or just taking an extended vacation, shipping your car with a reputable auto shipping company, such as National Dispatch, is the best option. Let us tell you why. We understand how stressful moving and road trips can be, especially long distance ones. It involves a lot of planning and organization to ensure that all your belongings make it to your new home. Take one item off your To-Do list by having National Dispatch ship your car. Think of all the things you could be doing, instead of driving to your destination. You could already be enjoying the beautiful views of Maine. Spending hours behind the wheel of a car is not the ideal situation. If you had the choice, wouldn’t you choose a different option? Shipping your vehicle is a faster alternative and prevents wasted time spent in the car. When you ship your car, you do not have to worry about the wear and tear that is expected of long road trips. This is because your vehicle will be loaded onto a transport carrier. If you are the owner of a classic car, it is very important to keep your vehicle in pristine condition. Added miles can greatly impact the resale value of your antique. After you factor in the cost of gas, food, and lodging, auto shipping is the better solution for your budget. Also, take into consideration your time and how much it is worth. As we mentioned before, shipping your vehicle saves you time. This allows you to use less vacation days in order to get to your destination. Read 4 Key Benefits of Auto Transport. Many people move to Maine for its culinary scene, opportunities for outdoor exploration, and maritime culture. 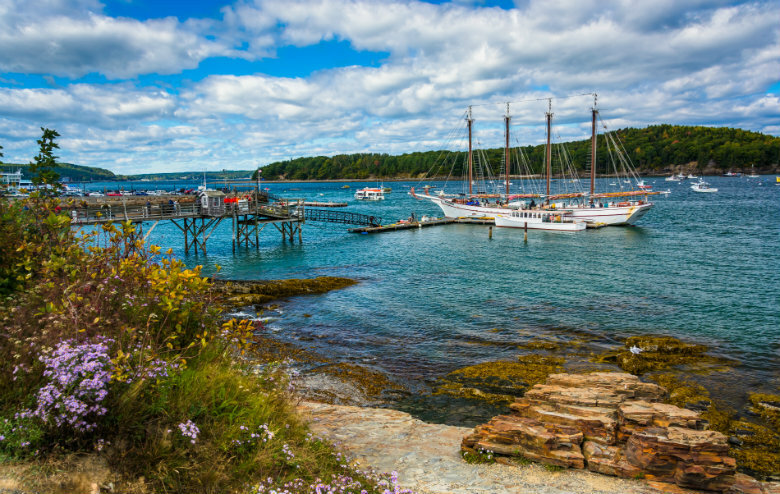 If you are considering moving to Maine, you may be interested to learn more about the top cities in the state. Here are a few of Maine’s top destination spots. Portland has received recognition as one of the best places to live and retire in the United States. This was based upon the quality of life, job market, and people’s desire to live in the area. You must be able to put up with the chilly temperatures, sea breezes, and fog common of a city near the coast. There is something to do during all seasons. In the fall, you will find people picking apples at local orchards. During the winter, snowshoeing and skiing is popular. During the spring and summer, bird watching, sailing, and fishing are common activities. The Portland Observatory is a popular tourist attraction that is a must-see. Lewiston is a small city with a lot of charm. The city has a few parks, museums, and sites to visit, with its most popular one being the Thorncrag Bird Sanctuary. Portland is less than an hour away, which provides you with more attractions. Lewiston also has its own airport, Auburn-Lewiston Airport, which makes getting in and out of the city easy. The city has a good public school system in addition to numerous higher education options. If you are looking for a college, you can attend Bates College, University of Southern Maine Lewiston-Auburn College, or others. Bangor has a population of over 30,000, making it less than half that of Portland. It may be a small city, but it is in a perfect location. The city is just an hour away from Bar Harbor and Acadia National Park. Bar Harbor offers many shops and restaurants. At Acadia National Park, you will find a variety of wildlife, as well as Cadillac Mountain, the tallest peak on the East Coast. Bangor has ties to the lumber industry, hence why you may see a 31-foot statue of Paul Bunyan when you go to the city. Biddeford is located in York County, Maine. It is home to the University of New England, which also has a campus in Portland. Biddeford to Portland is less than a half hour drive. Like much of the rest of Maine, you can expect the winters to be cold, sometimes brutal. The city hosts an annual festival in celebration of its French-Canadian heritage. It is known as the La Kermesse festival. If capital city’s were decided based on size, then Maine’s would be Portland. However, the capital city of Maine is Augusta. It was originally a trading post on the Kennebec River. There are many attractions that might strike your fancy. Check out the Maine State House, Old Fort Western, or the Pine Tree State Arboretum. The Old Fort Western is the oldest surviving fort made of wood in the United States. The Pine Tree State Arboretum attracts visitors who are interested in biking and hiking. Are you in need of vehicle shipping services to or from Maine? At National Dispatch, we offer a free, instant car shipping quote using our online quote calculator. No personal information is required. You can also contact us via phone at 800-321-2051.